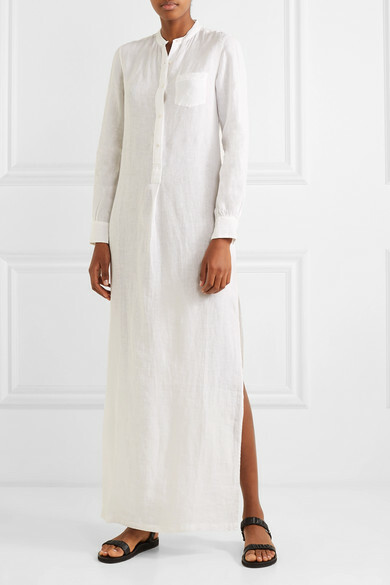 Part of Nili Lotan's Spring '19 collection, this maxi dress is cut for a loose fit from airy white linen and slit at the sides. 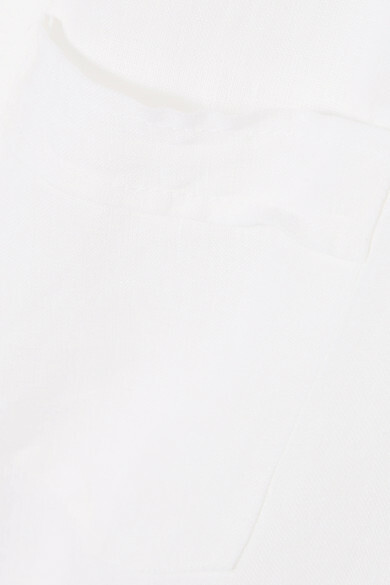 Wear it to the beach over a bikini, adding gold jewelry and sandals when you head for dinner that evening. 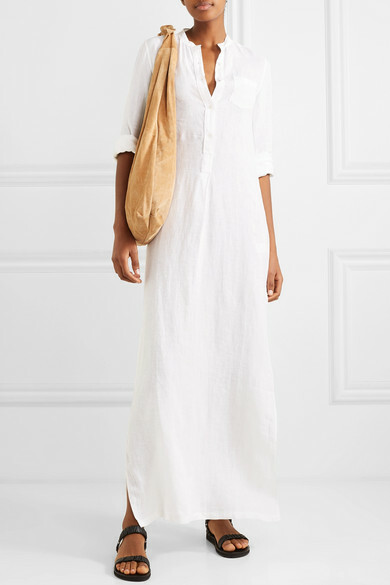 Shown here with: The Row Shoulder bag, The Row Sandals.